Hawthorn berry, sometimes known as Thornapple, May-tree, White Horn, Hawberry or just Haw, is the fruit of a tree from the genus Crataegus. The small red fruit is not a true berry, but is more closely related to apples and stone-fruits. Hawthorn Berry has been used as both food and medicine, in a number of countries, for many years. The potential health benefits of this fruit have recently been of interest to the scientific community, and it is becoming increasingly popular as an ingredient in a number of supplements. Where does Hawthorn Berry come from? Crataegus species have a wide distribution. This large shrub can be found growing throughout the temperate regions of Asia, Europe, and the Americas. While Hawthorn is prized for its aesthetic value as a hedge plant through Europe, It is important as a food species in countries like China, South Korea, Mexico, and North America, and plays a role in Chinese, European and Native American medicine. As a medicinal plant, Hawthorn Berry is traditionally used to treat digestive problems, sore throats, liver disease and insomnia. It is also considered to be a heart tonic, and it is used to lower the blood pressure. The effects of Hawthorn Berry on the cardiovascular system have not gone unnoticed by Western Medicine, and the fruit has been the subject of a good deal of research. Hawthorn Berry has shown many benefits for patients with mild heart failure, and in some European countries it is prescribed by doctors, alongside conventional medicine, as a treatment for some forms of cardiovascular disease. There are many ways in which Hawthorn Berry improves Cardiovascular health, such as the ability to reduce the blood pressure through vasodilation, and the ability to lower blood cholesterol levels. It also has some more unusual effects, such as increasing the force of contraction in the cardiac muscle, protecting the heart from smooth muscle and connective tissue changes that are associated with heart failure, and plays a preventative role in cardiac arrhythmia. Many of these benefits are due to the fruit's antioxidant and anti-inflammatory properties. It has also been shown to have some features which may help it fight cancer (1, 2). Many studies have been done showing that Hawthorn Berry increases the working capacity of the heart, and it has been successfully used in a large number of trials to prevent and treat mild heart disease (3). Some of the effects of Hawthorn Berry are useful for bodybuilders. High blood pressure can be a side-effect of certain supplements, and Hawthorn Berry is a safe and natural way to control this symptom. The vasodilatory effects of this fruit are also useful for increasing blood supply to the muscles during training. Better blood supply increases the supply of oxygen and other nutrients, hastens the removal of waste products like lactic acid which contribute to muscle fatigue, and can help generate the vascularity and muscle pumps that many bodybuilders value. As an antioxidant and anti-inflammatory, Hawthorn Berry may play a role in reducing oxidative damage and inflammation, speeding recovery after a workout. Side effects of Hawthorn Berry consumption are rare, but can include headache, nausea, heart palpitations, and low blood pressure. It is recommended that berries be sourced from a reputable manufacturer or herbalist, because there are some species of hawthorn berry that contain high levels of cyanide, which is highly toxic. Although these berries have been consumed for hundreds of years by many people and there has been a lot of research into their effects, some people believe that the long term safety and efficacy of Hawthorn Berry is yet to be fully established (4). The term 'Hawthorn Berry' refers to a number of species of the genus Crataegus. These can vary quite substantially in the concentration of active compound, so it is important to look out for a product that has been standardised for the amount of active ingredient. Research has generally been conducted using doses that range widely, between 100-2000mg of standardised extract (which is usually standardised to a 1.8% concentration of the flavinoid vitexin). 300mg daily, split over three doses, is considered to be the lowest dose of Hawthorn Berry extract effective in treating cardiovascular disease. Hawthorn Berry is generally sold as a stand alone product, but based upon its impressive attributes, has made its way into a number of products, including superfood supplements, where it is included for its antioxidant properties, and a number of pre-workouts, as a pump booster. 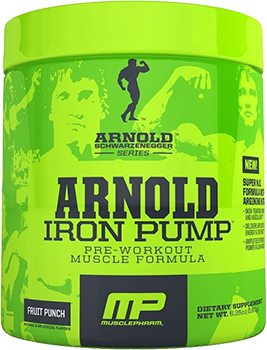 MusclePharm in particular, have taken a shine to this ingredient, and it has popped up in products like Hybrid NO and Arnold Schwarzenegger Iron Pump. Hawthorn berry is commonly stacked with pre-workout ingredients, where it plays the dual role of enhancing pump and counteracting the effects of stimulants, like caffeine, that can raise the blood pressure. It is used by a number of steroid users in an optimistic attempt to mitigate the cardiovascular damage that these illegal and dangerous substances frequently cause. (1) Wang J, Xiong X, Feng B. Effect of Crataegus Usage in Cardiovascular Disease Prevention: An Evidence-Based Approach. Evid Based Complement Alternat Med. 2013;2013:149363. (2) Jurikova T, Sochor J, Rop O, Mlcek J, Balla S, Szekeres L, Adam V, Kizek R. Polyphenolic profile and biological activity of Chinese hawthorn (Crataegus pinnatifida BUNGE) fruits. Molecules. 2012 Dec 6;17(12):14490-509. (3) Koch E, Malek FA. Standardized extracts from hawthorn leaves and flowers in the treatment of cardiovascular disorders--preclinical and clinical studies. Planta Med. 2011 Jul;77(11):1123-8. (4) Chang WT, Dao J, Shao ZH. Hawthorn: potential roles in cardiovascular disease. Am J Chin Med. 2005;33(1):1-10.